There are many factors that contribute to the cost of an insurance policy. Car insurance companies examine risk in detail. From the driver to the car, insurers watch closely any aspect that might affect the chances for an accident claim. When it comes to drivers, maturity and experience reduce risk and ultimately a driver’s premiums. Motorists reaching the age of 55 hit the maturity and experience mother lode. 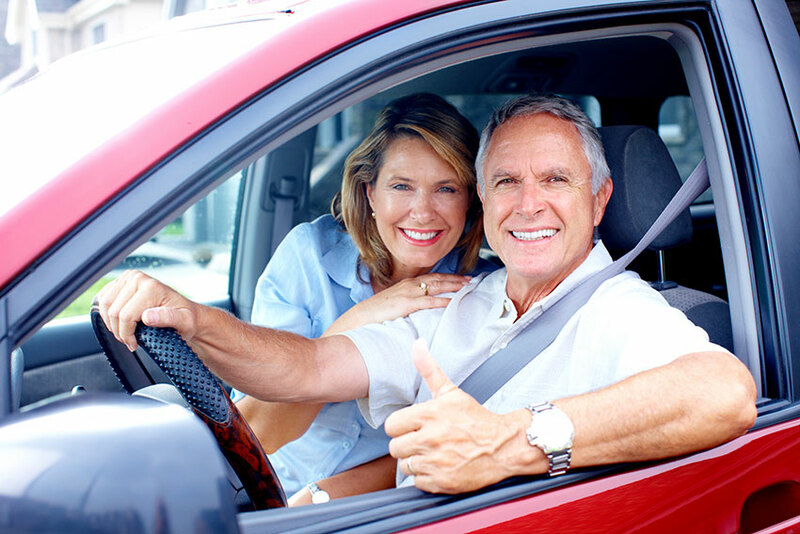 Combined with a clean driving record and no history of claims, drivers reaching their early senior years have a great auto insurance outlook. 4 Do Seniors’ Insurance Companies Really Give the Best Rates? Many motorists harbour misconceptions about the connection between a driver’s age and the price they pay for insurance. Though every insurance company calculates prices in their own unique way, there’s likely not a major correlation between chronological age and insurance cost. Driver A, at age 28, with 12 years experience, pays less for insurance than Driver B. However, Driver B pays less at age 28 than Driver A at age 20. You can see that both age and experience count, but not necessarily in an even way. Drivers reaching age 55 have a number of factors working in their favour that coincidentally contribute to lower auto insurance pricing. This again assumes that these motorists have clean driving records. With nearly 40 years of potential driving experience, the 55 year old motorist has plenty of knowledge behind the wheel. They’re still at an age where the physical attributes needed to drive are in peak form, save perhaps the need for glasses. The cars they drive may be more conservative in design. Sedans, minivans, and SUVs tend to be easy on insurance and appealing to this class of driver. With children grown and on their own, the early senior drivers may have more disposable income for larger vehicles with better safety ratings. Each of these factors provide downward nudges to car insurance prices. On the flip side, more affluent drivers may choose luxury models that drive well, but cost much to repair after accidents. And 55-year-olds aren’t immune to the effects of the mid-life crisis, so some choose high-performance sports cars to recapture youth. Those vehicle choices have the opposite effect on insurance pricing, driving up premiums. The 55 year old driver is currently part of the tail end of the baby boomer generation, one of the largest demographic groups in Canada. As such, there’s much competition for this market segment among producers of goods and services. The auto insurance industry is no different. Not only is the 55 year old market large, it’s also profitable for insurers. The ideal situation for any insurance company is that none of its clients ever have accidents or claims. That way, all money taken in as premiums is pure gross profit. While that’s unlikely, of course, seeking out low risk drivers is obviously a sound strategy. Insurance consumers purchase a product which for the most part they’ll be quite happy to never use. Combined with the skills of the young senior, this tendency is a perfect fit for profitable insurance clients. It’s no surprise then that there are insurers who specialize in attracting drivers 55 and older. These companies target advertising toward the demographic group, promising to reward good driving records with low rates. Other strategies include loyalty discounts for remaining with one company for a certain number of years and accident forgiveness, designed to give drivers a feeling of protection about their driving record. 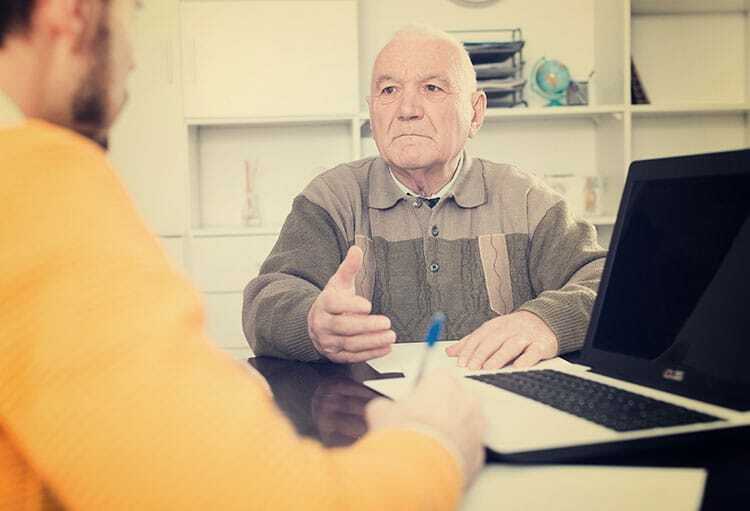 Do Seniors’ Insurance Companies Really Give the Best Rates? They can, but when each policy depends on a mix of demographic and personal data, there’s no way to be sure without comparing the quotes of many companies, both those targeted to seniors and not. Understanding the way the auto insurance industry works in Ontario helps. The Financial Services Commission of Ontario does review and approve every insurer’s rates and business practices, but each company retains much control over how it does business. While an insurer might target the 55 year old driver with marketing, there’s no requirement for them to guarantee lowest rates for that niche. The company might set an aggressive rate for the “model driver,” and then weigh factors in such a way that few motorists could meet the conditions of that model. Some insurance products seem to take advantage of the tendency of many drivers to simply roll over coverage year after year. Loyalty discounts, for example, feel earned to a driver who doesn’t examine market options. General thinking is that having a loyalty discount that they’d lose switching insurers means they have the better price now. That’s not always the case. Accident forgiveness is an insurance endorsement into which drivers pay so that, if an at fault accident happens in the future, their insurance premium won’t rise because of it. The irony is that they have to pay more for insurance now to prevent paying more later — maybe. Many motorists feel this protection is worth the added expense, while others perceive it as a needless expense. It’s also important to note the “fine print” factor. Endorsements offered by different companies may not be equal. Since each provider can submit its own version of a product for approval, what’s covered by one company’s endorsement may not be the same as another. Careful shopping is key to low auto insurance rates, whether you’re 25 or 55. As a mature driver, you may have a strong position for affordable coverage, but today’s situation may not be the same in a year’s time. When it’s time to renew, you owe it to yourself to shop aggressively. Ratelab’s car insurance calculator takes the time and effort out of your search. See the box above and give it a try today.